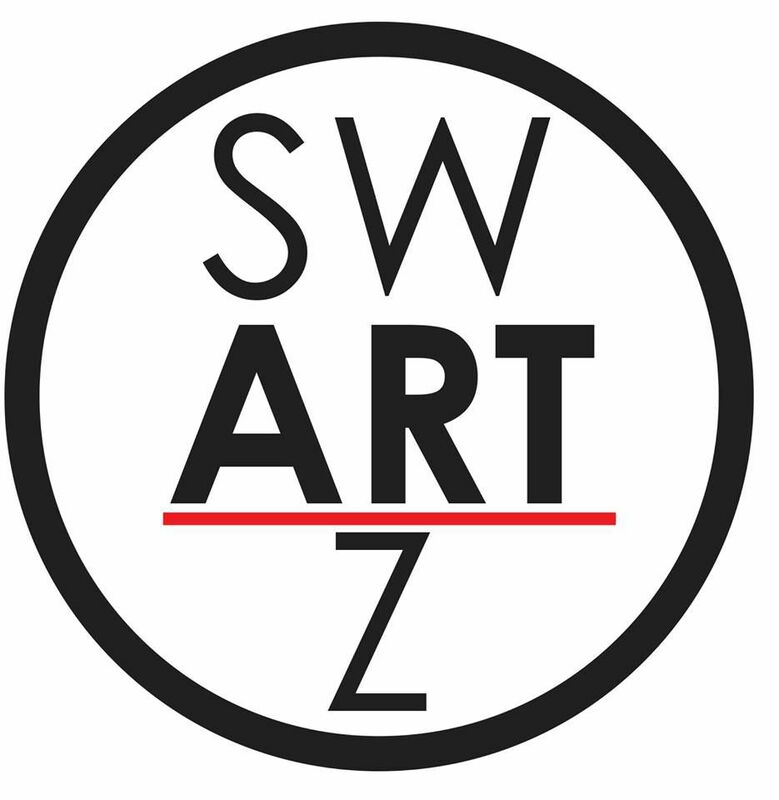 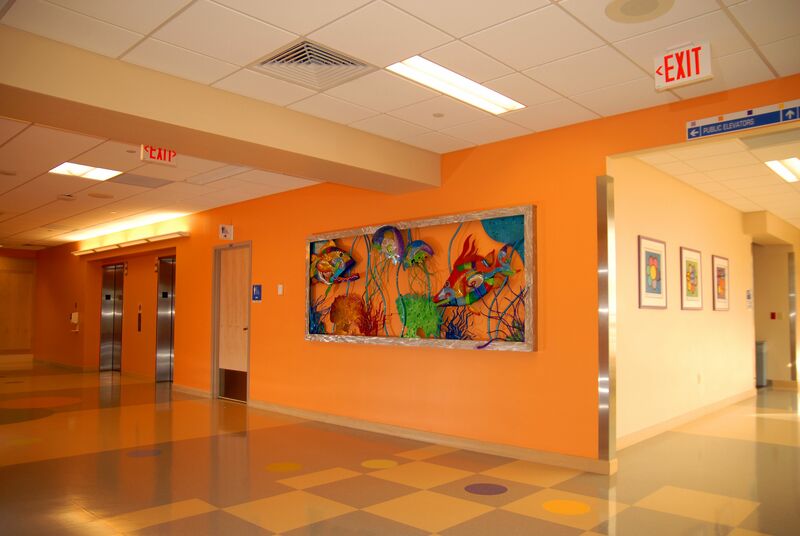 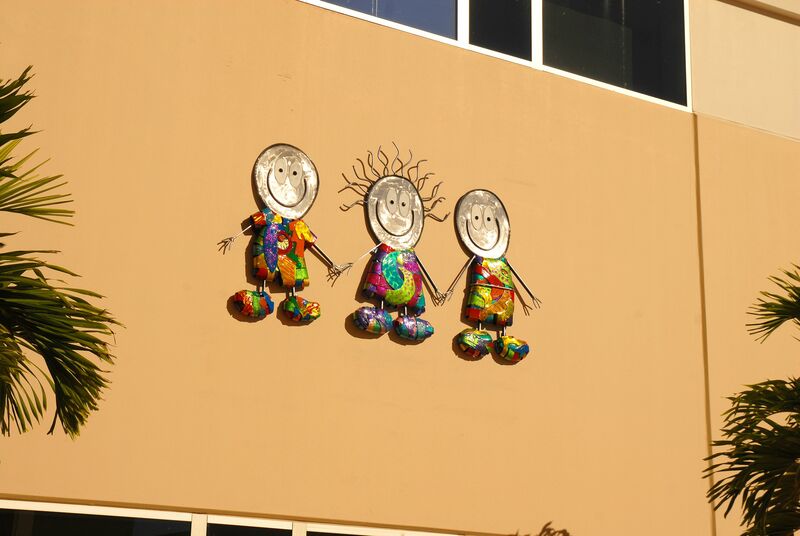 St. Petersburg, FL-- All Children's Hospital selected Pinellas Park artist Clayton Swartz to create art work for the hospital. 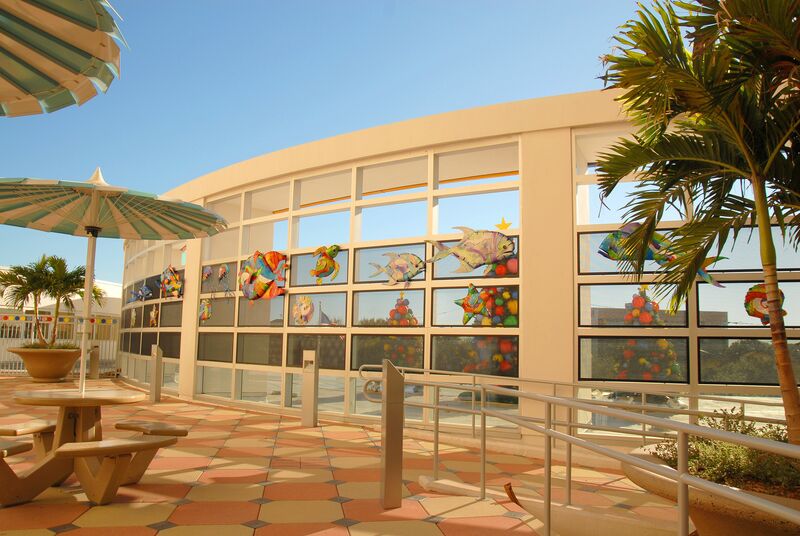 He created a fish scene in the outside play area which includes about 20 different sea life pieces. 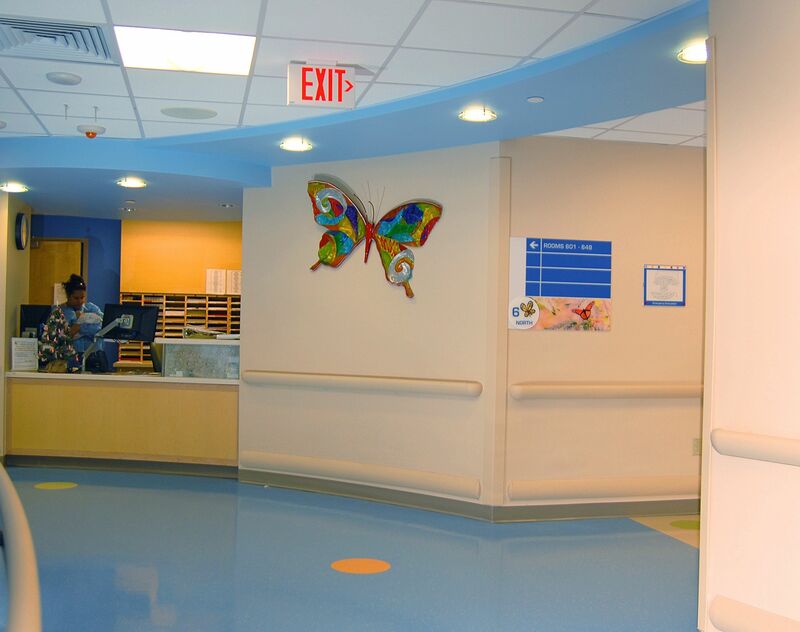 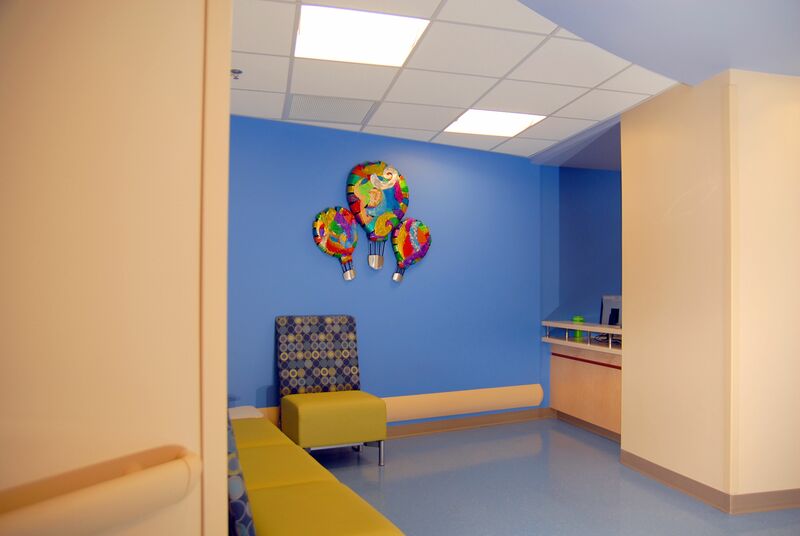 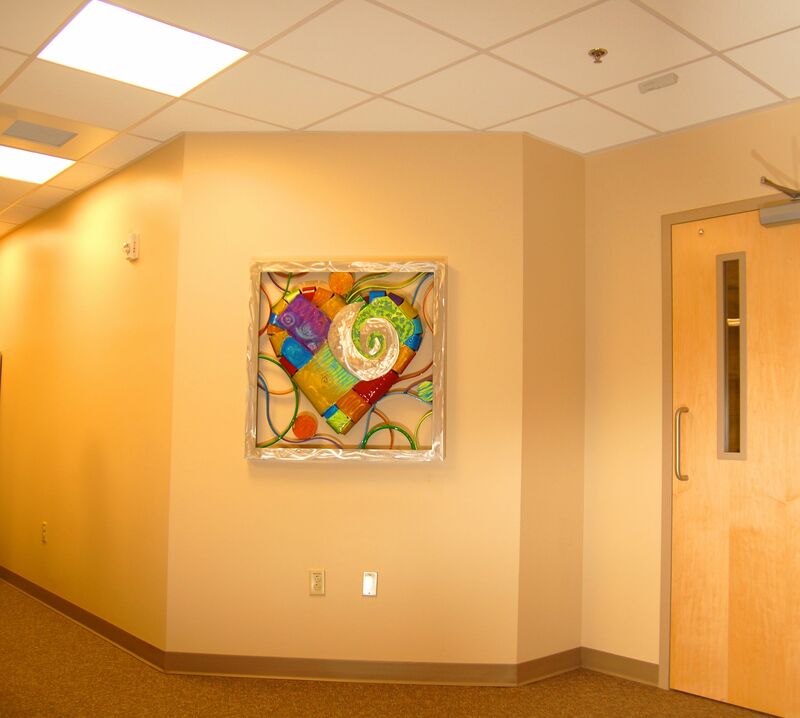 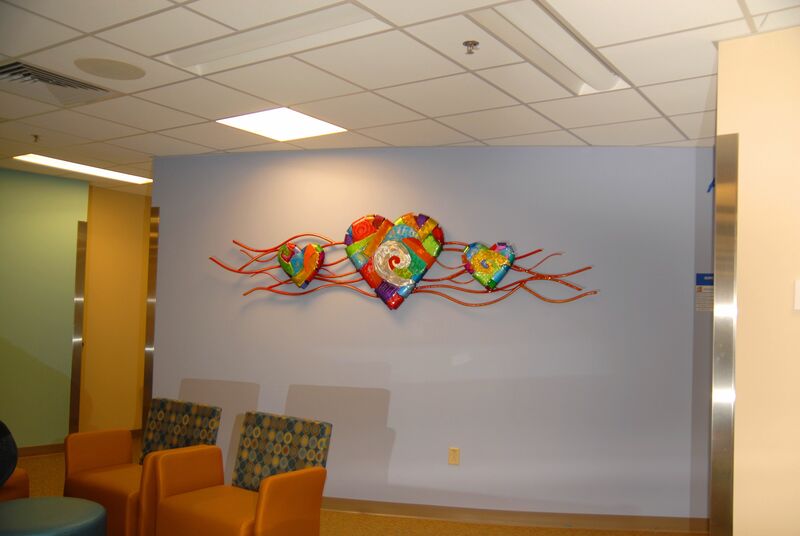 Other themes in the hospital are butterflies, hearts, balloons, and a pelican.